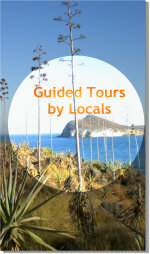 It was a pleasure, John... to atend you and the rest of the group in this fantastic visit to Cabo de Gata. Thanks for you much appreciated comments. Join in and write your own page! It's easy to do. How? Simply click here to return to Jesus Contreras. Return to Birdwatching in Almeria.